Early records list the First Baptist Church was built and dedicated May 9, 1876. The lot was donated by William Everson; senior member of Everson, Macrum and Co. As the church prospered, a larger structure was needed; the current Baptist Church on the corner of Chestnut and Loucks was dedicated June 23, 1907. 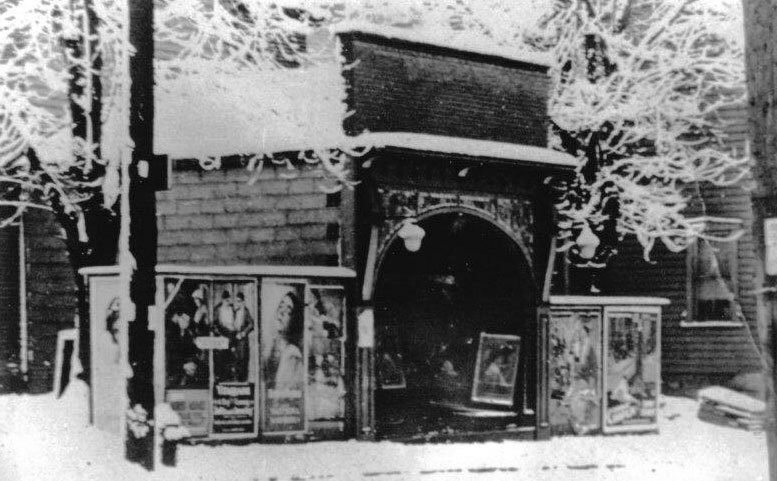 In time, the original church became the Arcade Theater (image shown circa 1950). 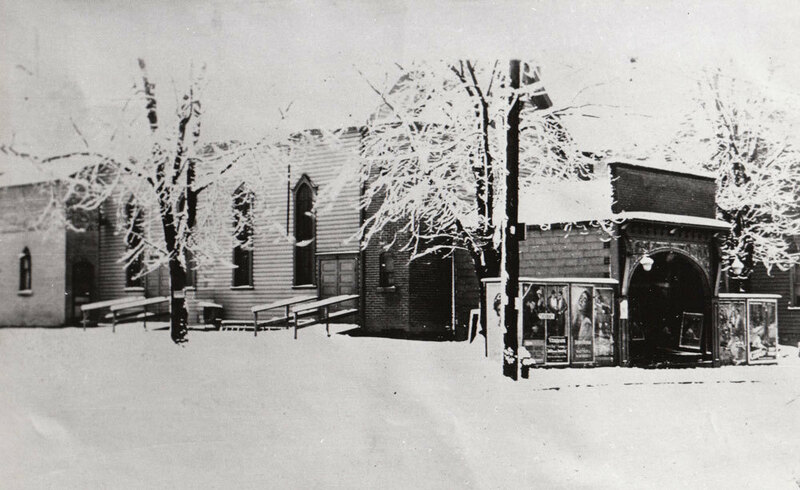 The snow covered image shows the main body of the wooden framed church with addition of the theater gallery entrance and marquee. 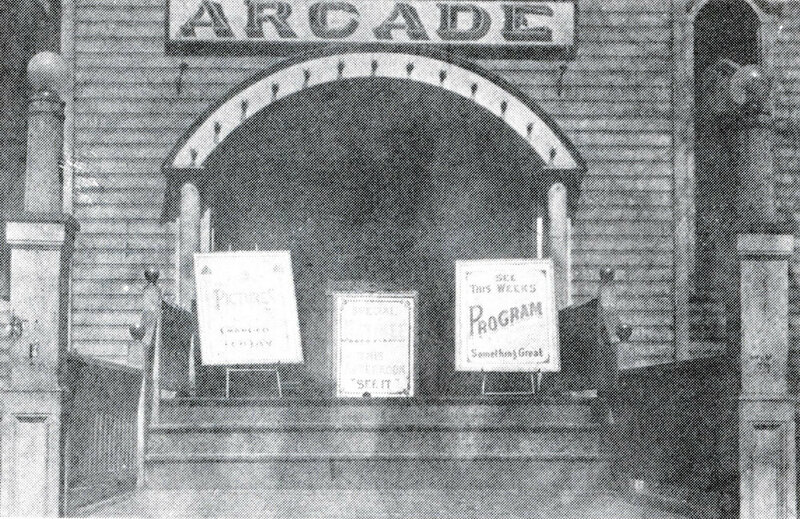 The Arcade was the “B” movie theater in town where the shoot-em up cowboy, detective and many low budget horror movies were shown. The “A” movies were shown at the Strand, now the Geyer Performing Arts Center. 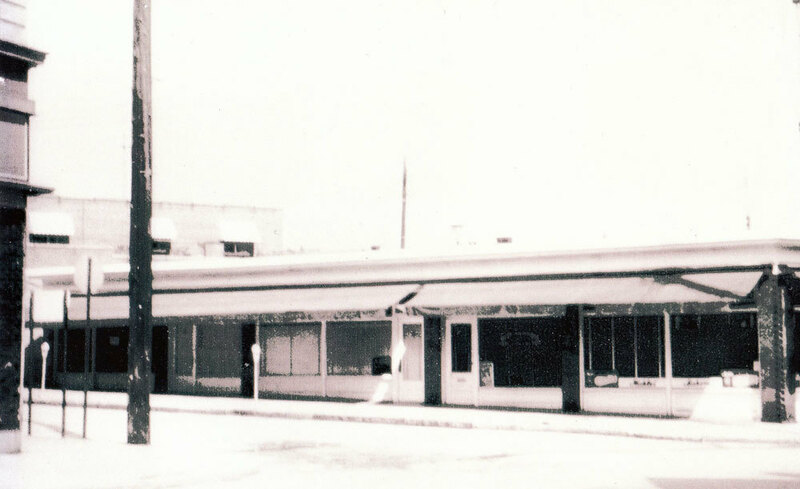 By the late 1950’s the Church/Arcade was razed and became a group of businesses offices. 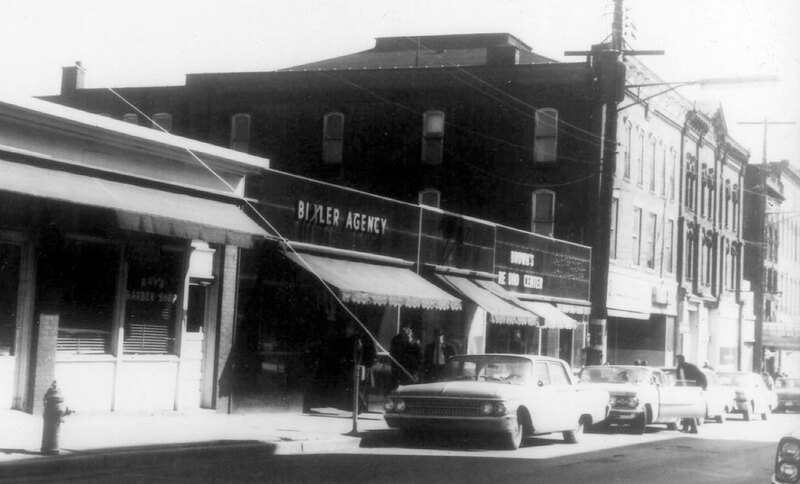 The mid 1960’s photos show Brown’s Record Den, Bixler Agency and Ray’s Barber shop. By 1969, the mall project was under way and the buildings from Spring street down to Broadway were razed for redevelopment. The mall project did not become reality due to the economic slump of the early 1970’s. 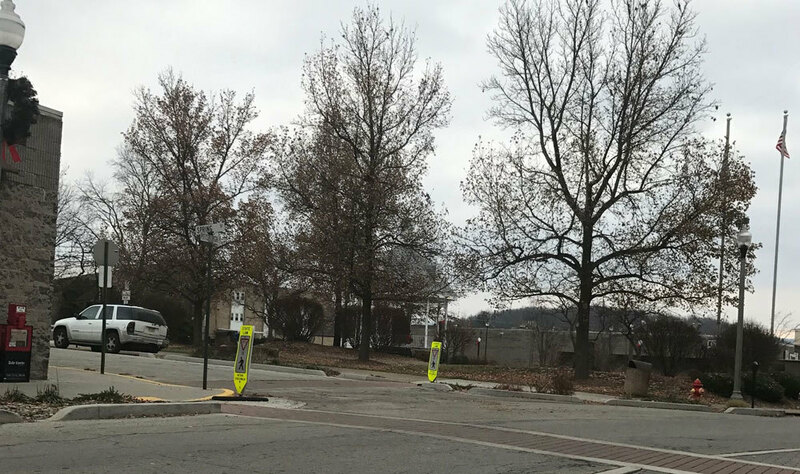 Today, the corner is once again a place for residents to gather and be entertained. The Park and Gazebo hosts many of the town’s events, from concerts, Fall Festival, and Christmas celebrations.